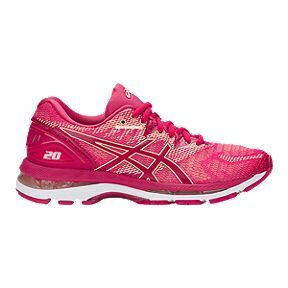 Categories: Asics, Running Shoes, Training, Women's. Tags: Asics, Nimbus. A smooth, comfortable ride that’s 20 years in the making. 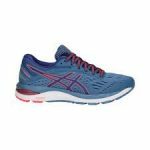 Packed with our revolutionary lightweight FlyteFoam® cushioning, FluidRide® Midsole and discreet eyelet construction, the Nimbus caters to neutral runners of all levels. 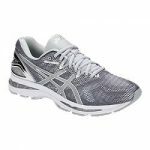 Its gradient jacquard-mesh FluidFit® upper strategically adapts to your foot’s natural motion while 3-D printed overlays offer extra support to give you a customized fit that keeps you going mile after mile.